Final Brochure PDF | Learn More | Sponsorship & Exhibit Details | Register by March 4 & SAVE up to $400! Cambridge Healthtech Institute’s inaugural Cancer Immunotherapy and Combinations meeting will convene immuno-oncology researchers, cancer immunotherapy developers, and technology providers to discuss next-generation approaches and combinations, including small molecule development, to enhance the efficacy of checkpoint inhibitors. Samir Hassan, Ph.D., Director, Translational Research & Development, Immunocore Ltd.
Is selective IDO1 or TDO inhibitors is required, or a dual IDO1/TDO inhibitor is preferred to obtain optimal efficacy and safety in the clinic? Will checkpoint combination with chemotherapy or other targeted agents prove to have too many toxicity issues? 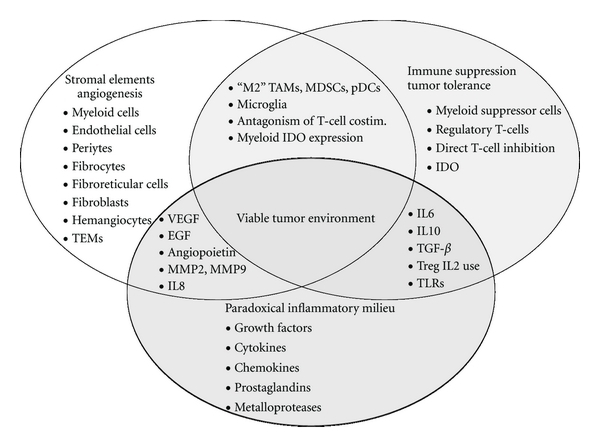 How do we minimize overlapping toxic effects of radiation and immunotherapy? How to optimize the sequencing of these two treatment modalities? Suresh Kumar, Ph.D., Director, R&D, Progenra, Inc. This email is being sent to sjwilliamspa@comcast.net. This email communication is for marketing purposes. If it is not of interest to you, please disregard and we apologize for any inconvenience this may have caused. Visit www.chicorporate.com/corporate_unsubscribe.aspx to update usage. Researchers trying to develop an anti-malaria vaccine in pregnant women have stumbled upon an unexpected discovery that could potentially transform cancer therapy. They revealed that the carbohydrate that the malaria parasite attaches itself to – an oncofetal chondroitin sulfate – which is expressed in the placenta is the same as the one displayed on proteoglycans in cancerous cells. By conjugating diphtheria toxin to recombinant malaria protein VAR2CSA (rVAR2), the researchers were able to inhibit in vivo tumor growth and metastasis. The study demonstrates how a parasite-derived protein can be exploited to target a common but complex, cancer-associated modification. The researchers have already tested thousands of samples from brain tumors to leukemia and found that the malaria protein is able to inhibit more than 90% of all types of tumors. While this approach seems very promising a major drawback is that this treatment cannot be applied to pregnant women. Since the rVAR2-conjugated toxin cannot distinguish placenta from tumor, it would inhibit placenta growth as well. The research team wants to conduct human testing but the earliest possible scenario they predict would be in 4 years. Targeting Human Cancer by a Glycosaminoglycan Binding Malaria Protein. Cancer Cell. 2015 Oct 12;28(4):500-14. http://dx.doi.org:/ 10.1016/j.ccell.2015.09.003. Plasmodium falciparum engineer infected erythrocytes to present the malarial protein, VAR2CSA, which binds a distinct type chondroitin sulfate (CS) exclusively expressed in the placenta. Here, we show that the same CS modification is present on a high proportion of malignant cells and that it can be specifically targeted by recombinant VAR2CSA (rVAR2). In tumors, placental-like CS chains are linked to a limited repertoire of cancer-associated proteoglycans including CD44 and CSPG4. The rVAR2 protein localizes to tumors in vivo and rVAR2 fused to diphtheria toxin or conjugated to hemiasterlin compounds strongly inhibits in vivo tumor cell growth and metastasis. Our data demonstrate how an evolutionarily refined parasite-derived protein can be exploited to target a common, but complex, malignancy-associated glycosaminoglycan modification. Identification of glycosaminoglycan binding regions in the Plasmodium falciparum encoded placental sequestration ligand, VAR2CSA. Malar J. 2008 Jun 6;7:104. doi: 10.1186/1475-2875-7-104. Pregnancy malaria is caused by Plasmodium falciparum-infected erythrocytes binding the placental receptor chondroitin sulfate A (CSA). This results in accumulation of parasites in the placenta with severe clinical consequences for the mother and her unborn child. Women become resistant to placental malaria as antibodies are acquired which specifically target the surface of infected erythrocytes binding in the placenta. VAR2CSA is most likely the parasite-encoded protein which mediates binding to the placental receptor CSA. Several domains have been shown to bind CSA in vitro; and it is apparent that a VAR2CSA-based vaccine cannot accommodate all the CSA binding domains and serovariants. It is thus of high priority to define minimal ligand binding regions throughout the VAR2CSA molecule. To define minimal CSA-binding regions/peptides of VAR2CSA, a phage display library based on the entire var2csa coding region was constructed. This library was screened on immobilized CSA and cells expressing CSA resulting in a limited number of CSA-binding phages. Antibodies against these peptides were affinity purified and tested for reactivity against CSA-binding infected erythrocytes. The most frequently identified phages expressed peptides residing in the parts of VAR2CSA previously defined as CSA binding. In addition, most of the binding regions mapped to surface-exposed parts of VAR2CSA. The binding of a DBL2X peptide to CSA was confirmed with a synthetic peptide. Antibodies against a CSA-binding DBL2X peptide reacted with the surface of infected erythrocytes indicating that this epitope is accessible for antibodies on native VAR2CSA on infected erythrocytes. Short continuous regions of VAR2CSA with affinity for multiple types of CSA were defined. A number of these regions localize to CSA-binding domains and to surface-exposed regions within these domains and a synthetic peptide corresponding to a peptide sequence in DBL2 was shown to bind to CSA and not to CSC. It is likely that some of these epitopes are involved in native parasite CSA adhesion. However, antibodies directed against single epitopes did not inhibit parasite adhesion. This study supports phage display as a technique to identify CSA-binding regions of large proteins such as VAR2CSA. AM (Pregnancy Associated Malaria) is a major health problem in malaria-endemic areas and on a world basis it affects millions of pregnant women and their offspring. The presence of parasites in the placenta of pregnant women can have serious consequences for both mother and child including: maternal anaemia, premature delivery, low birth weight and increased infant mortality . In malaria endemic areas, children acquire clinical immunity after multiple infections, and adults are in general protected against malaria. Women who have acquired immunity against malaria during childhood become susceptible to malaria during pregnancy due to novel parasite phenotypes expressing unique antigens not encountered during childhood infections [2,3]. In areas of high parasite transmission PAM mainly affects primigravidae since immunity is acquired as a function of gravidity . Protective antibodies target proteins expressed on the surface of infected erythrocytes (IE), which mediate binding to syncytiotrophoblasts. By this process, the parasite is not filtered through the spleen and thus avoids exposure to effector mechanisms, which clear erythrocytes infected with late blood stage parasite from circulation . The best characterized surface protein is thePlasmodium falciparum erythrocyte membrane protein 1 (PfEMP1) [5,6], which is encoded by the polymorphic var gene family containing 50–60 copies per parasite genome . The PfEMP1 family constitutes high-molecular proteins of 200–400 kDa, which are highly polymorphic. Different PfEMP1 molecules have different receptor specificities, therefore switching between expression of various var genes in a mutually exclusive manner allows the parasite to modify its adhesion properties (reviewed in ). PfEMP1 proteins include three to seven Duffy-binding-like (DBL) domains, which belong to a parasite adhesion-domain super-family present in erythrocyte invasion ligands called: erythrocyte-binding ligands (EBL). Antibodies against PfEMP1 can interfere with parasite binding and the successive acquisition of a broad range of PfEMP1 antibodies is important for the acquisition of immunity during childhood [9–13]. Several molecules such as ICAM-1 , VCAM-1 , thrombospondin , CD36 , and chondroitin sulfate A (CSA) [18,19] have been identified as host receptors for PfEMP1. In the placenta IE exclusively bind to the glycosaminoglycan CSA [19,20]. The parasite protein mediating IE adhesion to CSA in the placenta is a distinct member of the PfEMP1 protein family, named VAR2CSA . High levels of anti-VAR2CSA antibodies are correlated with favourable birth outcome and they are acquired as a function of parity . Disruption of the var2csa gene causes the loss of the IE’s ability to bind CSA . VAR2CSA is a large IE surface-expressed antigen consisting of six DBL domains with a total estimated molecular mass of 350 kDa. The ultimate aim of PAM vaccine development is to define a VAR2CSA construct capable of eliciting antibodies that inhibit binding of IEs to CSA. However, several of the VAR2CSA domains have in vitro affinity to CSA [24–26] and this complicates vaccine design. It is thus of high priority to define the minimal epitopes within each domain and inter-domains that have affinity to CSA. Phage display is a strong and widely used tool for mapping protein ligand interactions and has in several studies been used to define adhesive parts of proteins present on the surface of different organisms causing infectious diseases (reviewed in ). Phage display has also been extensively used in malaria research. For vaccine development Casey and others , used phage display to isolate a phage-derived peptide that mimic an important epitope of AMA-1 and had the ability to induce functionally protective antibodies. Lanzillotti and others , used a phage display library to search for P. falciparum encoded motifs involved in erythrocyte invasion, and identified regions in EBA-175 and Ebl-1 like proteins binding to receptors on the human erythrocyte. EBA and Ebl belong to the same super family of Duffy-binding-like proteins as the DBL domains from VAR2CSA. We were thus encouraged to use this technique to search for CSA-binding motifs in VAR2CSA. In this study a phage display library was constructed based on the exon1 coding region of VAR2CSA. The library was biopanned on different sources of glycosaminoglycans (GAG) including: immobilized bovine CSA; immobilized proteoglycans purified from placentas – CSPG; CSA-expressing CHO cells, and BeWo cells derived from the human placental syncytiotrophoblasts. Five regions of VAR2CSA potentially involved in in vivo parasite sequestration were identified and are thus potential candidate components of a multivalent PAM vaccine. A DBL2 peptide binds to CSA and not to CSC. 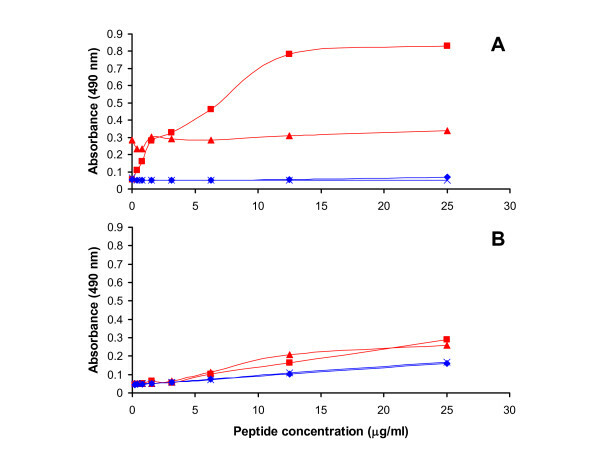 (A) Peptide binding assay to CSA: P2b (red) binds to CSA (■) in a peptide concentration-specific manner and not to the plate (▲). The control peptide (blue) does not bind to neither the plate (×) nor CSA (◆). (B) Peptide binding assay to CSC: P2b (red) does not bind to either CSC (■) or to the plate (▲). The control peptide (blue) does not bind to neither the plate (×) nor CSC (◆). The exon1 of var2csa has 9171 bp and was PCR amplified and cloned into the T7select 415-1b phage vector. The plasmid was propagated and the insert containing the whole var2csa exon1 was cut out and digested with DNase1 to generate 200 bp fragments. The var2csa fragments were used to create a T7 Phage display library as described in the material and methods section. This vector is described to display 415 copies of peptides on the surface of the T7 capsid . To ensure that all parts of VAR2CSA exon1 were present in this constructed library a number of clones were sequenced before biopanning. No sequences were overrepresented and sequences belonging to all six DBL domains were present in the library (Figure ​(Figure1A,1A, black). The var2csa phage display library was biopanned four rounds on: CHO cells (two independent assays); human placental choriocarcinoma cell line BeWo (four independent assays); bovine CSA (two independent assays); biotinylated CSA (two independent assays) and chondroitin sulfate proteoglycans of human placenta (CSPG) (two independent assays). Control biopannings were done on ELISA plates coated with BSA (Figure ​(Figure1A,1A, Blocking Bf, blue). From each assay 15 clones were sequenced. Figure ​Figure11 shows the frequency by which different phages expressing particular VAR2CSA regions were identified after the different types of biopanning. Biopanning on CSA resulted in enrichment of a single region (20% of all phages) corresponding to a peptide sequence in DBL3 (Figure ​(Figure1A,1A, green). CSA coated directly on ELISA plates might not be very efficient; therefore the biopanning was subsequently repeated using biotinylated CSA (bCSA). This resulted in enrichment of phages representing sequences present in DBL1, DBL2 and DBL4 (Figure ​(Figure1A,1A, red). In addition, biopanning on human placental CSPG resulted in enrichment of phages representing DBL4 and DBL5 sequences (Figure ​(Figure1A,1A, yellow). However, the DBL4 sequence was also present in 18% of the control BSA biopannings (Figure ​(Figure1A,1A, blue). To further identify proteoglycan-binding regions, the VAR2CSA phage display library was biopanned on BeWo and CHO cells expressing CSPG and CSA, respectively (Figure ​(Figure1B).1B). Enrichment of phages expressing peptides from DBL2, DBL3, DBL4 and DBL5 was seen. Again the DBL4 sequence was also detected in the phages from the control biopanning. DBL2 and DBL3 phages binding to the GAG expressing cells contained VAR2CSA sequences that overlapped with the sequences identified by the CSA biopanning. The DBL5 sequence overlapped with the clone identified by CSPG biopanning. In summary, five relatively short stretches of VAR2CSA appeared to bind soluble GAGs as well as GAGs expressed on cells. No none-DBL regions (i.e. NTS, ID1 or ID2) were identified as GAG binding. Structural models of VAR2CSA 3D7 DBL domains have previously been produced using the solved DBL structures in EBA-175 and Pkα-DBL as templates . As part of previous work we identified regions on native VAR2CSA, which were accessible to antibodies [26,36]. In the current study, the CSA-binding regions defined by the phage display screening were mapped onto the models and compared to the previous findings (Figure ​(Figure2).2). Interestingly, in DBL2, DBL3 and DBL5 there was a high degree of overlap between the CSA-binding regions and the surface-exposed regions (Figure ​(Figure2,2, green). 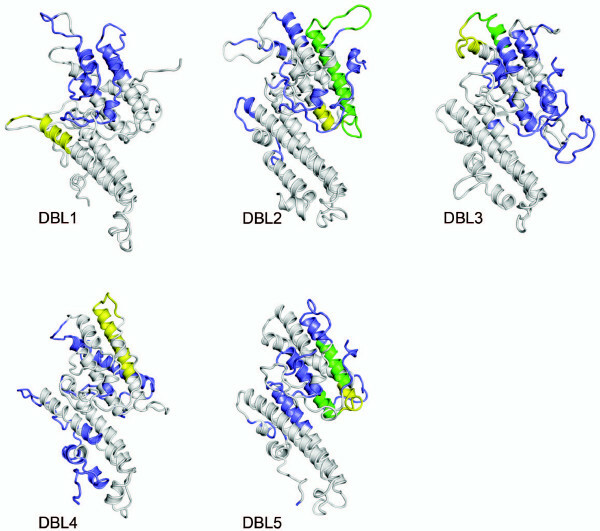 Peptides residing in DBL1 and DBL4 did not map to the predicted surface exposed regions. All mapped regions, except the DBL1 region, mapped to the S2 subdomain of the DBL domains. The CSA-binding regions mapped in DBL2 and DBL5 are in close vicinity to the chemokine-binding site region of Pkα-DBL Duffy . Structural models of VAR2CSA DBL domains showing surface-exposed regions and GAG binding regions. The surface-exposed epitopes previously determined by depleting female IgG plasma on parasites expressing VAR2CSA are shown in blue. The GAG binding regions identified by phage display assays are shown in yellow. The overlap of surface-exposed regions and GAG binding regions is shown in green. Malaria parasites causing PAM have been shown to bind to glycosaminoglycans in the intevillous space of the placenta. These parasites also bind specifically to bovine CSA , CSPG  as well as BeWo  and CHO cells having CSPG on the surface . The binding between the parasite and the placental CSPG is most likely mediated through the parasite expressed protein, VAR2CSA. VAR2CSA is a large multidomain protein and for vaccine development it is important to define which regions of VAR2CSA are responsible for the interaction with CSPG. In the present study a var2csa phage display library was biopanned on five different CSA containing targets (bovine CSA, bovine bCSA, human placental CSPG, BeWo and CHO cells) in 12 independent experiments. Five regions of VAR2CSA repeatedly showed affinity for the different CSA preparations. The CSA-binding peptides identified with the phage display approach were based on the linear sequence of VAR2CSA. However, the CSA binding region might be conformational and involve peptides from several domains. It is preferable that results obtained by phage display assays are confirmed by showing that peptides corresponding to the identified regions also possess binding capacity. The var2csa phage display library used in this study was constructed from DNA fragments of 100–150 bp, and the corresponding peptides are thus 34–75 aa. These long peptides were difficult to synthetize and were unstable in solution and we thus had to divide some of the phage regions into several synthetic peptides. Furthermore, the structure of peptides in solution might be very different from peptides bound to a phage. These factors could explain why only one out of seven synthetic peptides could have its binding to CSA confirmed. DBL2, DBL3 and DBL5 domains of VAR2CSA have previously been shown to bind to CSA [24–26] and the surface-exposed regions within these domains have been mapped [26,36]. Three of the five peptides are located on surface-exposed parts of the previously described CSA-binding domains and two of these peptides map to regions on the DBL domains, which are in close proximity to the ligand-binding region of Pk-alfa-DBL . These findings show an agreement between two independent approaches, which strengthens the present results. No CSA-binding epitopes were found in the highly polymorphic DBL6 domain, which previously has been shown to bind CSA indicating the presence of conformational CSA binding regions in this domain . Phage display was used to identify GAG binding linear regions of VAR2CSA. Five regions located in five different domains were found to have affinity for both immobilized CSA and CSA expressed on the surface of cells. The most frequently observed GAG binding phages mapped to DBL2, 3, 4 and DBL5, and except DBL4 all these domains have been shown to bind CSA in vitro. These results are supported by data published by Andersen and others , demonstrating that the phage display defined CSA-binding regions in DBL2, 3, 5 all locate to areas of VAR2CSA that appear to be exposed on the native molecule. The DBL2 CSA binding peptide showed specific binding to CSA and affinity-purified antibodies against the same phage display identified region reacted with the surface of infected erythrocytes. This work is the first step in defining small regions of VAR2CSA, which can be used in an adhesion blocking sub-unit vaccine protecting pregnant women against PAM. NEW YORK (GenomeWeb) – A malaria vaccine may be more effective against parasites whose genotype matches that of the vaccine itself, according to researchers from Harvard University and the Fred Hutchinson Cancer Research Center. Reporting this week in the New England Journal of Medicine, researchers evaluated malarial genotypes of individuals enrolled in a phase III trial of GlaxoSmithKline’s vaccine, RTS,S/ASO1. The vaccine was previously evaluated in a large phase III trial in Africa in more than 15,000 children and was found to confer “moderate protective efficacy against clinical disease and severe malaria that wanes over time,” according to the study authors. The mechanism by which the vaccine confers protection is incompletely understood, although it is known to target a specific protein produced by thePlasmodium falciparum malaria parasite called circumsporozoite protein. However, the circumsporozoite protein contains regions where polymorphisms can occur, including a conserved tandem repeat with a length polymorphism between 37 and 44 repeat unit, and numerous polymorphisms within the C-terminal region of protein. Researchers hypothesized the vaccine might be less effective against malaria parasites with polymorphisms in those regions. To test this theory, they used PCR and next-generation sequencing on both Illumina’s MiSeq instrument and Pacific Biosciences’ RS II. The researchers targeted and sequenced the circumsporozoite protein C-terminal and as well as a control region with the MiSeq from children enrolled in the clinical trial who had become infected with malaria. They used the PacBio system to sequence the longer repeat region. Over 4,000 samples were sequenced on the MiSeq and over 3,000 on the PacBio. Samples included patients at multiple time points after they received the vaccine. Genetic data of the malaria parasite was evaluated from 1,181 kids between the ages of five and 17 months who received the RTS,S vaccine and 909 who received a control vaccine, all of whom had developed clinically confirmed malaria. Over two-thirds of patents had “complex infections,” defined as being founded by two or more distinct parasite lineages, the authors reported. Patients that received the RTS,S vaccine were more likely to have complex infections — 71 percent had complex infections compared to 61 percent of patients who received the control vaccine. Looking at the relationship between polymorphisms to the C-terminal region and vaccine efficacy, the researchers found that one-year post vaccination, the C-terminal region in the malaria parasite matched that of the vaccine in 139 individuals, but was a mismatch in 1,951 individuals. Thus, cumulative vaccine efficacy against malaria with a perfect genotype match at the C-terminal site was 50.3 percent. For those without a perfect match, efficacy was 33.4 percent. In addition, efficacy was higher immediately after receiving the vaccine. Through six months post vaccination, efficacy was 70.2 percent in individuals with a matched genotype and 56.3 percent in those with mismatched genotypes. Looking at the relationship between the number of repeats and vaccine efficacy, the researchers found a non-significant effect with increasing repeats and vaccine efficacy. The results suggest that among children between the ages of five and 17 months the RTS,S vaccine “has greater activity against malaria parasites with matched circumsporozoite protein allele than against mismatched malaria,” the authors concluded, and overall vaccine efficacy will depend on the genotype of the local parasite population. Is it a far fetch? Friend or Foe? Listeria monocytogenes is a Gram-positive, facultative intracellular pathogen bacterium. It is used as a prototypes for an experimental model to understand the fundamental processes of adaptive immunity and virulence. 10 species of L. monocytogenes is identified in both humans and animals, L. ivanovii mainly infects ungulates (eg. sheep and cattle), while other species (L. innocua, L. seeligeri, L. welshimeri, L. grayi, L. marthii, L. rocourtiae, L. fleischmannii and L. weihenstephanensis) are essentially saprophytes. Within the species of L. monocytogenes, several serovars (e.g., 4b, 1/2a, 1/2b and 1/2c) are highly pathogenic and account for a majority of clinical isolations. Gram-negative bacteria has inner and outer membranes and they are most studied; yet mechanics of protein secretion across the single cell membrane of Gram-positive is not. The protein secretion in gram positive bacteria is complex not only it requires translocation of polypeptides across the bacterial membrane into the highly charged environment of the membrane-cell wall interface but also folding specifically. As a result, protein folding mechanism and stability investigated for the role of PrsA2 and PrsA-like so that optimizing the virulence and protein secretion become possible. Listeria monocytogenes is a food-borne pathogen determined in 1980s causing an opportunistic disease called listeriosis which is widespread in nature being part of the faecal flora of many mammals. In addition to contaminated food resources (1-10%), may occur sporadically or in outbreaks. It can be difficult to control and may cause severe clinical outcomes, especially in pregnant women, children and the elderly. The mechanism of pathogenity based on simply altering the actin cytoskeleton structure. Infection causes a spectrum of illness, ranging from febrile gastroenteritis to invasive disease, including bacteraemia, sepsis, and meningoencephalitis. This organisms copes well with bile acids and acidic environment such as glutamate decarboxylase and arginine deiminase systems to survive in competitive microbiome of GI. This information may benefit developing effective vaccines, designing pharmabiotics; even including probiotics, prebiotics, or phages. Altering dietary habit assumed to control a disease. The effects of various fatty acids on bacterial clearance and disease outcome through suppression or activation of immune responses can’t be simplified down to one or two kinds of fatty acids in foodborne pathogens. Commonly they have a specialized carbohydrate metabolism so they can utilize fatty acids of host and the host may use the end products for an energy resource. The compared food-borne pathogens include Salmonella sp., Campylobacter sp.,Shiga toxin-producing Escherichia coli, Shigella sp., Listeria monocytogenes, and Staphylococcus aureus. This bacterium has a complex transcriptional machinery to adept, invade several types of cells, and survive. It happens through RNA-based regulation in bacteria in cell biology at the chromatin level during bacterial infection. This includes clathrin, atypical mitochondrial fragmentation, and several hundred non-coding RNAs (ncRNAs) in the Listeria genome. Patho-epigenetics becoming an attractive field. Improved bioinformatics may help to classify these changes under specific regulatory mechanisms and networks to determine their function and use. The virulence of Listeria monocytogenes mainly depends on a listeriolysin O (LLO) which is a thiol-activated, cholesterol-dependent, pore-forming toxin, and highly immunogenic. 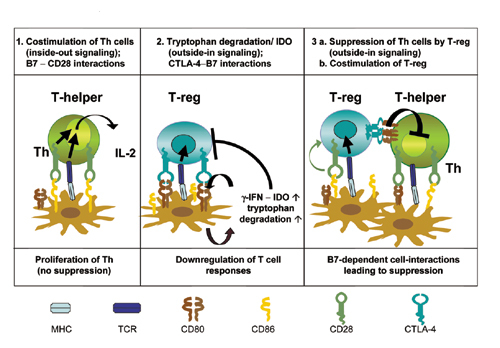 In addition, biochemically, LLO, a toxin that belongs to the family of cholesterol-dependent cytolysins (CDCs), exhibits potent cell type-non-specific toxicity and is a source of dominant CD4(+) and CD8(+) T cell epitopes. Hence, it is the major target for innate and adaptive immune responses in different animal models and humans. 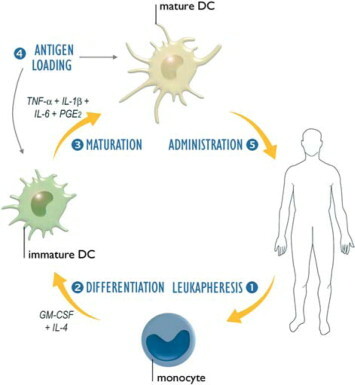 Since FDA approved Sipuleucel-T (Provenge, Dendreon, Seattle, WA), which consists of antigen-loaded dendritic cells (DCs), there is a boom in immunotherapy applications. Yet, there is a shortcoming of this application because of its limited scope in immune response. However, Listeria monocytogenes (Lm) naturally targets DCs in vivo and stimulates both innate and adaptive cellular immunity. Lm-based vaccines engineered to express cancer antigens have demonstrated striking efficacy applications. On the other hand, there is a caution to be taken in clinics since L. monocytogenes most often presents as acute bacterial meningitis, particularly in weaken immune system of patients such as elderly, already sick patients as secondary infection/opportunistic, and those with already immune fragile state. L. monocytogenes CNS the infections may present as acute bacterial meningitis, meningoencephalitis, or acute encephalitis. Le DT(1), Dubenksy TW Jr, Brockstedt DG. “Clinical development of Listeria monocytogenes-based immunotherapies”. 20. Semin Oncol. 2012 Jun;39(3):311-22. doi: 10.1053/j.seminoncol.2012.02.008. Liu D(1).“Molecular approaches to the identification of pathogenic and nonpathogenic Listeriae”. 16. Microbiol Insights. 2013 Jul 22;6:59-69. doi: 10.4137/MBI.S10880. eCollection 2013. Hernández-Flores KG(1), Vivanco-Cid H(2). Biological effects of listeriolysin O: implications for vaccination. Biomed Res Int. 2015;2015:360741. doi: 10.1155/2015/360741. Epub 2015 Mar 22. Maertens de Noordhout C(1), Devleesschauwer B(2), Angulo FJ(3), Verbeke G(4), Haagsma J(5), Kirk M(6), Havelaar A(7), Speybroeck N(8). “The global burden of listeriosis: a systematic review and meta-analysis”. 2. Lancet Infect Dis. 2014 Nov;14(11):1073-82. doi: 10.1016/S1473-3099(14)70870-9. Epub 2014 Sep 15. Cossart P(1), Lebreton A(2). “A trip in the “New Microbiology” with the bacterial pathogen Listeria Monocytogenes”. 3. FEBS Lett. 2014 Aug 1;588(15):2437-45. doi: 10.1016/j.febslet.2014.05.051. Epub 2014 Jun 6. Hernandez-Milian A(1), Payeras-Cifre A(1). “What is new in listeriosis?”. Biomed Res Int. 2014;2014:358051. doi: 10.1155/2014/358051. Epub 2014 Apr 14. Schultze T(1), Izar B(2), Qing X(1), Mannala GK(1), Hain T(1). “Current status of antisense RNA-mediated gene regulation in Listeria monocytogenes”. 5. Front Cell Infect Microbiol. 2014 Sep 30;4:135. doi: 10.3389/fcimb.2014.00135. Guariglia-Oropeza V(1), Orsi RH(1), Yu H(2), Boor KJ(1), Wiedmann M(1), Guldimann C(1). “Regulatory network features in Listeria monocytogenes-changing the way we talk”. 6. Front Cell Infect Microbiol. 2014 Feb 14;4:14. doi: 10.3389/fcimb.2014.00014. D’Orazio SE(1). ”Animal models for oral transmission of Listeria monocytogenes”. 7. Front Cell Infect Microbiol. 2014 Feb 11;4:15. doi: 10.3389/fcimb.2014.00015. eCollection 2014. Cahoon LA(1), Freitag NE(1). “Listeria monocytogenes virulence factor secretion: don’t leave the cell without a Chaperone”. 8. Front Cell Infect Microbiol. 2014 Feb 12;4:13. doi: 10.3389/fcimb.2014.00013.eCollection 2014. Gahan CG(1), Hill C(2).“Listeria monocytogenes: survival and adaptation in the gastrointestinal tract”. 9. Front Cell Infect Microbiol. 2014 Feb 5;4:9. doi: 10.3389/fcimb.2014.00009. eCollection 2014. Pol J(1), Bloy N(1), Obrist F(1), Eggermont A(2), Galon J(3), Hervé Fridman W(4), Cremer I(4), Zitvogel L(5), Kroemer G(6), Galluzzi L(7). 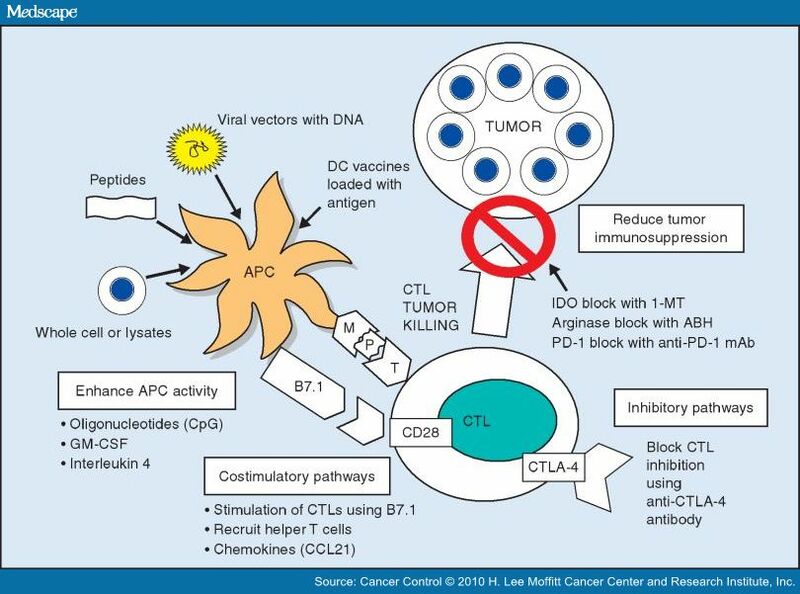 “Trial Watch: DNA vaccines for cancer therapy”. 10. 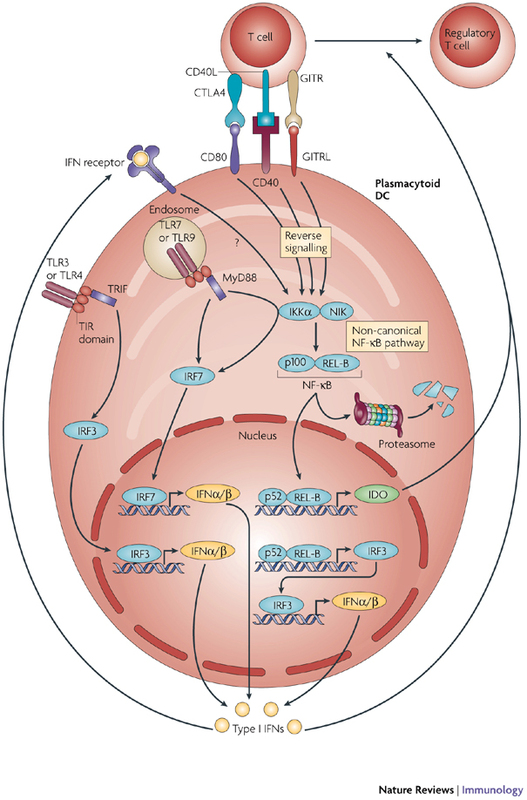 Oncoimmunology. 2014 Jan 1;3(1):e28185. Epub 2014 Apr 1. Carrillo-Esper R(1), Carrillo-Cordova LD, Espinoza de los Monteros-Estrada I, Rosales-Gutiérrez AO, Uribe M, Méndez-Sánchez N. “Rhombencephalitis by Listeria monocytogenes in a cirrhotic patient: a case report and literature review”. 11. Ann Hepatol. 2013 Sep-Oct;12(5):830-3. Harrison LM(1), Balan KV, Babu US. “Dietary fatty acids and immune response to food-borne bacterial infections”. 12. Nutrients. 2013 May 22;5(5):1801-22. doi: 10.3390/nu5051801. Sun R(1), Liu Y. 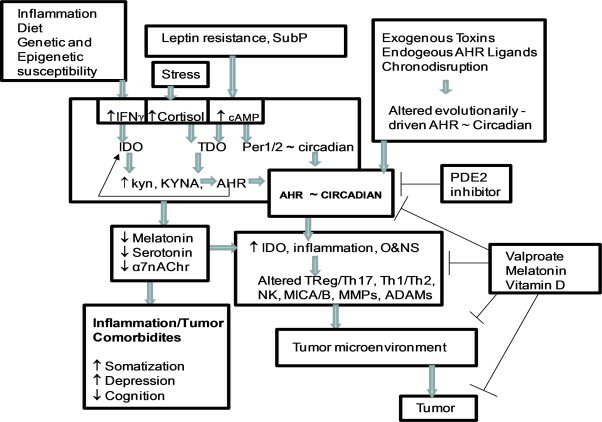 “Listeriolysin O as a strong immunogenic molecule for the development of new anti-tumor vaccines”. 13. Hum Vaccin Immunother. 2013 May;9(5):1058-68. doi: 10.4161/hv.23871. Epub 2013 Feb 11. Sherrid AM(1), Kollmann TR. “Age-dependent differences in systemic and cell-autonomous immunity to L. Monocytogenes”. 14. 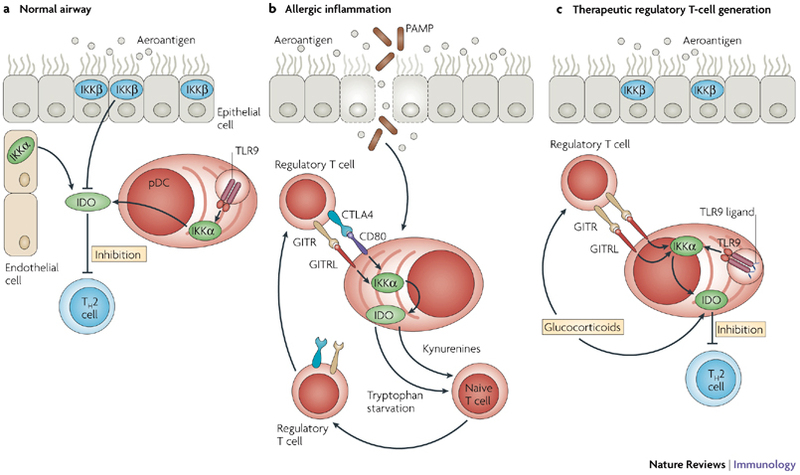 Clin Dev Immunol. 2013;2013:917198. doi: 10.1155/2013/917198. Epub 2013 Apr 7. Pizarro-Cerdá J(1), Kühbacher A, Cossart P.” Entry of Listeria monocytogenes in mammalian epithelial cells: an updated view”. Cold Spring Harb Perspect Med. 2012 Nov 1;2(11). pii: a010009. doi: 10.1101/cshperspect.a010009.